The smart garment market is set to take off – that's if you take the word of research giant Gartner, which predicted that sales will jump from 0.3 million units in 2015 to over 26 million in 2016. One of the big players in the smart clothing world is Sensoria, the makers of a set of smart socks for runners. The washable socks can track your gait and running technique, and this week the company announced that it would be working with the brand Orthotics Holdings to create connected footwear for the elderly that can monitor and feedback to caregivers on their mobility, set for a 2016 launch. 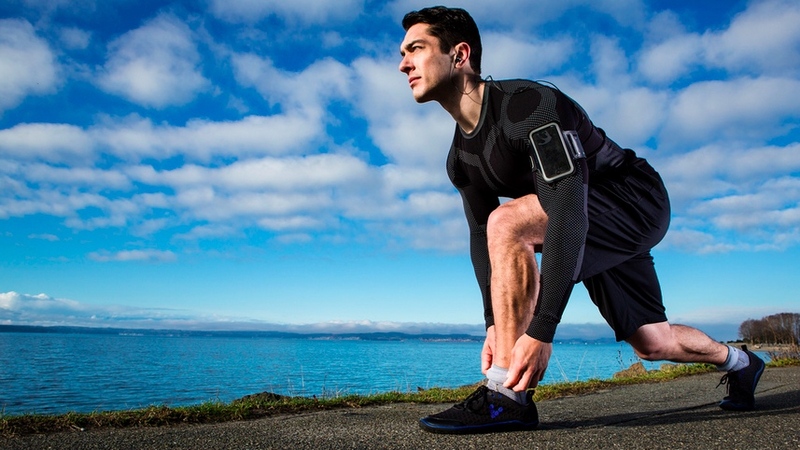 We spoke to Davide Vigano, co-founder and CEO of Sensoria, about the future of smart clothing. "I think we are in a convergence zone. It's somewhere between the wearable industry, which has been climbing quickly despite the economic climate with the likes of Fitbit growing 30% a year, and the wearable fashion and apparel industry, that's huge but only growing at 3-4% a year. Essential reading: Where are our smart clothes? "Imagine if a plasticky glorified pedometer could be injected into what people decide to wear. We think wearable computing will become transparent and the devices will disappear to the eye. Because we all wake up in the morning and do the same thing and that's have a shower and put our clothes on," Vigano told Wareable. "It's our dream of transparent computing." Sensoria's line-up of products currently includes smart socks, a heart rate sensing bra and a biometric shirt for men – and Vigano said that the key for smart clothing to really break out is to collect new kinds of data. "There are fantastic opportunities for collecting multiple data sets from the human body. Take heart rate, which is collected using ECG and EKG. It's been collected for 60 years so doctors know what to do with that data. If something looks not right, they know what to do," he said. But the possibilities of smart clothing extend beyond what we have already. For Vigano, by adding sensors to our clothes, we're able to collect new types of data that currently isn't on our radar. "The cool thing about this new technology is we're collecting data that's never been collected before. Of course, I'm referring to gait, the science of human locomotion. There's no tool that provides a researcher or a doctor data from real life patients, you have to go to a gait clinic to understand how people walk. They use cameras and that's not how we walk every day." That is part of the underlying philosophy that's led to Sensoria breaking out of fitness wearables, and teaming up to help elderly people and caregivers. "We are opening the opportunity up for researchers, doctors and physicians to collect new data sets that haven't been collected. Gait is one example, but blood pressure and temperature are others. Think about dehydration for runners in the summer, that could be really interesting," he said. And the experiences aren't just medical. Vigano believes that when technology is embedded in your clothes, it helps engineers develop better apps. "If you're playing soccer you're likely to wear soccer boots," he said. "And that makes it easier for me, as an engineer, to count things like passes and accelerations. Those are the cool things we can do." Sensoria isn't just creating smart garments, and it wants others to use its cloud platform with its SDK. "We want to become an ingredient brand. If a 20 person strong startup can do what we have done, big brands can do it too. Our proposition is that if you are a large brand you will have competencies that we don't have. We are geeks, we don't understand about consumer marketing and distribution. But we understand signal processing, software and sensors," he said. "By combining and joining forces that's where the convergence of these two industries will happen so the plastic goes away." "Some brands will decide to do something on their own," he said. "Under Armour have acquired three apps and Adidas have purchased Runtastic. Doing things that aren't core to your DNA is really hard. I think there's a fantastic opportunity for us to work with the leaders and the long tail."